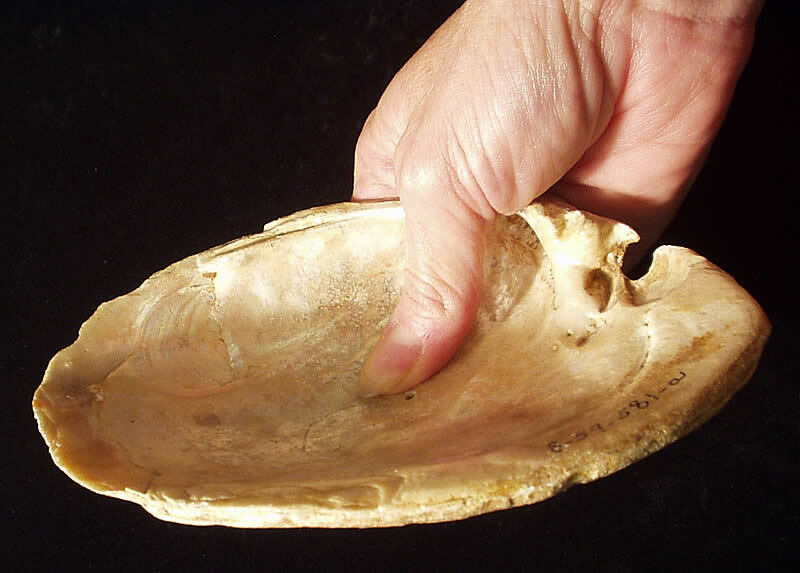 A large mussel shell with heavy edge wear and polish likely was used as a tool. Krieger suspected that prehistoric farmers were using them as hoes, and that the holes found in many shells were where a stick was inserted to form a handle. Click to see microscopic views of edge.